Hands down our favourite piece. 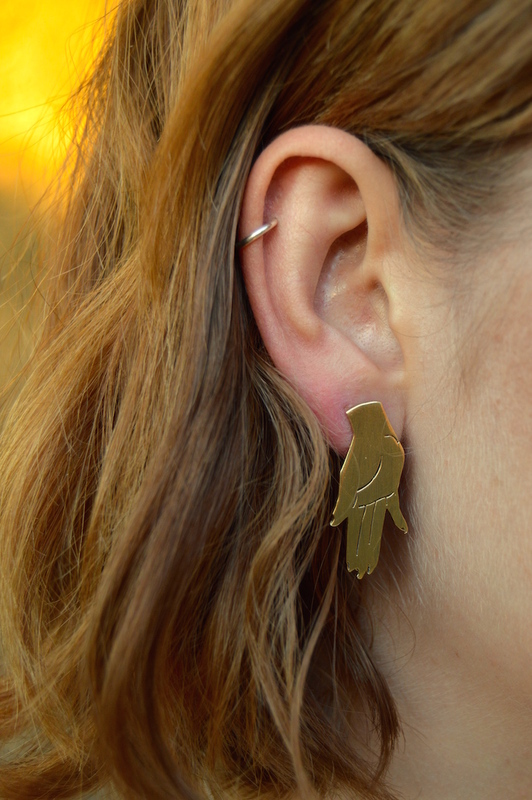 This earring features a stylish illustrated cut-out hand design. Notify me when Brass Hand Earring Hand Earring is available.